(…continued) Finally, along with all our prayers for this or that which we so desperately want or need, we must also remember to pray that prayer of Jesus when he was most desperate. 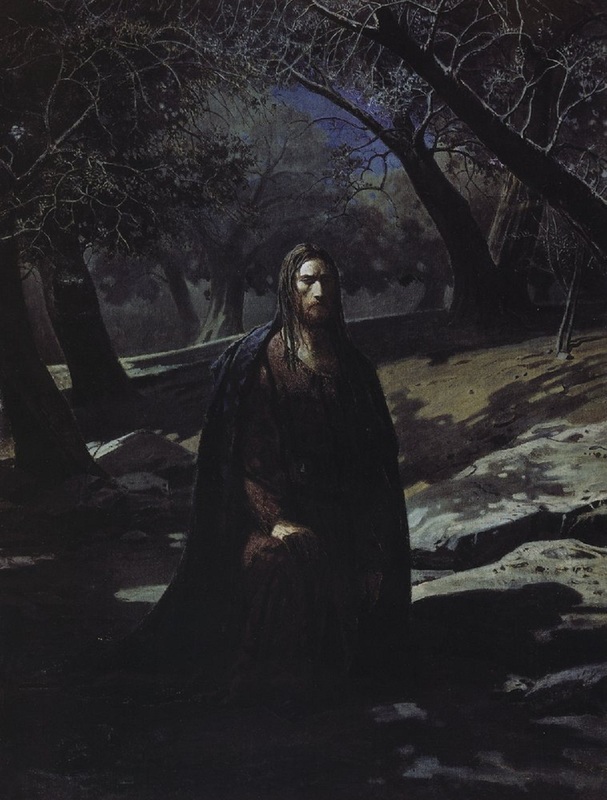 On the night of his betrayal and arrest, less than 24 hours before his torture and execution, Jesus desperately prayed, “Lord, may this cup of suffering pass from me.” But then Jesus added, “Not my will but, thine be done.” Just in case we might forget to pray in that way, Jesus included that same prayer in the words of the Lord’s Prayer: “Thy will be done, on earth, as it is in heaven.” And sometimes it is God’s will to intervene and restrict and block our free will; and other times, it is God’s will to let our free will run its course. I remember a sad Easter Sunday service many years ago at one of my little churches. Two of our very much involved middle-aged men were both, in that previous week, diagnosed with terminal cancer. Everyone knew everyone in that little congregation, and these men were much loved, and both had children still at home. It was not a joyful Easter Sunday at all that year. It was a heavy time for the congregation. Many prayers were said over the next months for both men. Then one of the men died, as everyone expected. That was the prognosis. And then, the other man got better, much to everyone’s surprise. That was not what the doctors expected. We all rejoiced in answered prayers; but the rejoicing was diminished a bit by the very fresh memories of those other unanswered prayers for our other friend. Who can understand how these things work? But do you know what? The healed man also, eventually died. It was many years later, and he was an old man, and he died of something else. But still, he died. That’s what always happens. His healing was only temporary, as are all earthly healings, whether by the doctor or miraculously by God. But as Christians we can rejoice in the promise of that final and complete healing of the resurrection, where, for those who believe in Jesus, all prayers for help and healing will be answered. I Peter 5:7…10-11 — Cast all your anxiety on him because he cares for you… And the God of all grace, who called you to his eternal glory in Christ, after you have suffered a little while, will himself restore you and make you strong,firm and steadfast. To him be the power for ever and ever. Amen.